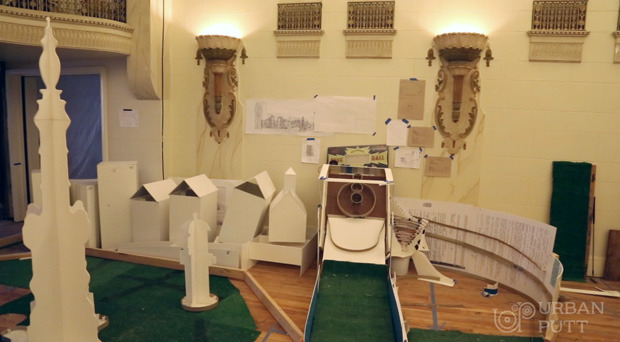 Urban Putt is an upcoming indoor minigolf course in San Francisco that will feature an array of kinetic sculptures and contraptions for players to interact with. 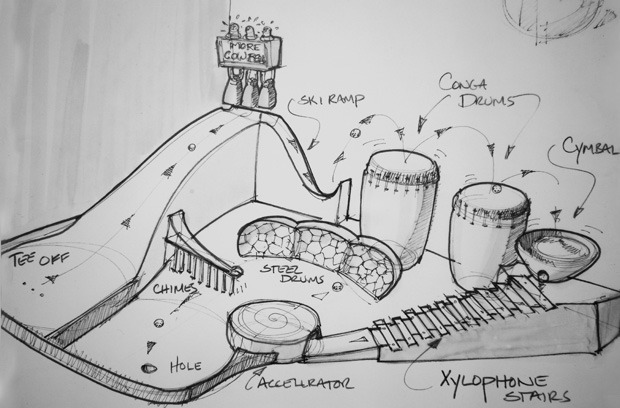 Each hole will be based on a different theme or contraption, from the “earthquake hole” to an Archimedes screw that will lift the ball 12 feet in the air. Urban Putt will also have a bar and restaurant. Founder Steve Fox is raising funds for the project on Kickstarter. Urban Putt is expected to open in February 2014. For more on the project see this KGO-TV video.